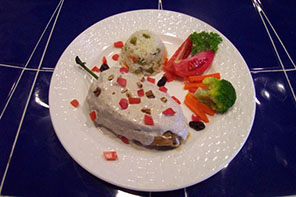 Treat yourself and your family to authentic Mexican cuisine prepared by our expert chefs. This is an experience you just won’t want to miss plus it is economical as well. 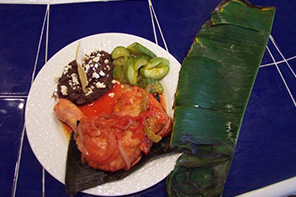 Why spend mucho dinero to have an average meal in a restaurant and wait on line to boot when you can have our chef come to your villa or condo and prepare wonderful home-style Mexican and Yucatecan dishes right in front of you!. Using our cook service represents a tremendous value over eating out and the quality of the meals plus the convenience of eating “at home” can’t be beat. Our cooks come from a culture where the tradition of fine home cooking is as alive and vibrant as ever. 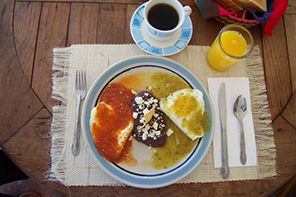 You may even learn a thing or two about Mexican cooking that you can take back home with you! 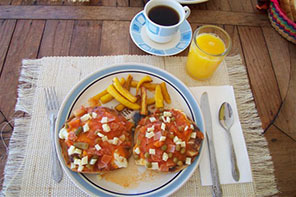 Your cook will prepare breakfast, and a choice of either lunch or dinner every day except Sunday. All food and services are INCLUDED in the price (see pricing below). Our cook's expertise lies in regional cuisine so we have prepared the following daily menu with various options and substitutions. 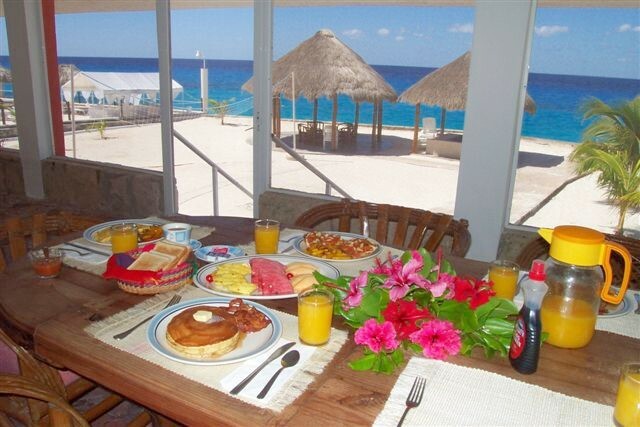 ** All breakfasts include: assorted fruit, juice, bread, butter, jam and coffee. 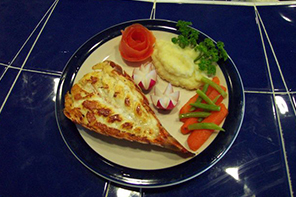 ** Main meals include soup or salad, side dishes and dessert. 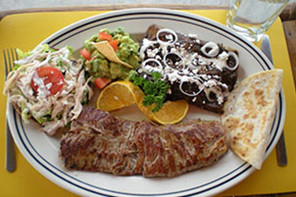 Fish in garlic sauce, Fish Veracruz Style, Chiles Rellenos W/ Shrimp & Cheese, Chicken or Beef Tacos, Chicken Quesadillas, Chicken Panuchos,Chilaquiles, Carne Asada (Steak Dinner), Hamburgers, Hotdogs, Sandwiches, Flautas, Mole Enchiladas; Vegetarian requests accommodated. 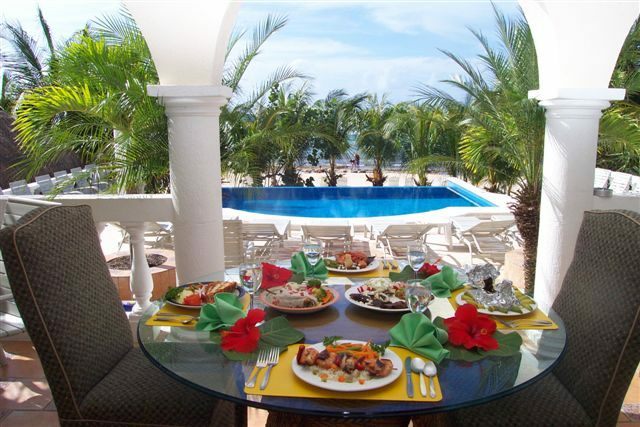 There is currently a charge of $200 per guest per week (6 days) including food and the services of the cook. Children age 2-9 incur a $100 charge. Children under 2 are free of charge. 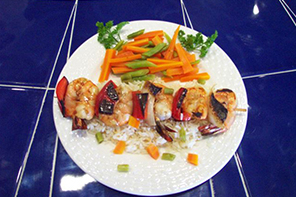 If you desire shrimp or lobster at a meal, there is a surcharge of $22.00 for Shrimp and $28.00 for Lobster per guest. 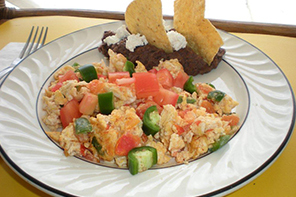 Cook service can be arranged for as few as 3 consecutive days; the daily rate is $50 per day. The minimum is 4 adult guests. If you only have 2 guests and you still want cook service then no problem. You will just pay the price for 4 guests. Whether or not you choose the food service we can have our staff shop for you and have your kitchen stocked with beverages or other provisions. You simply pay for the cost of the items, plus a 20% shopping fee. 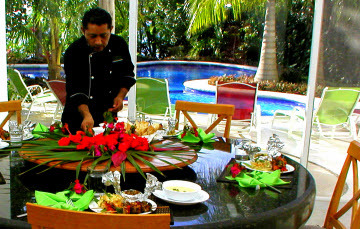 When the cook service option is chosen, all guests in the party must participate. Prices are subject to change. Once the service is booked, the charge is fixed at the price quoted at the time of booking. Payment must be made for all guests in advance. This will be paid along with your rental payments for the villa or condo to the US office. 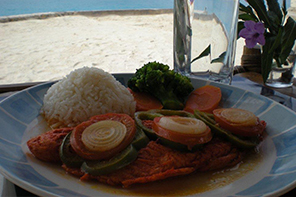 Please call or e-mail our office 561-488-8938 or to reserve the cook service. We will provide you with information regarding meals, and assist you with items (if any) you would like the house stocked with (see shopping service above). Once you have all the details finalized you can contact our US office (800-833-5971 or 561-488-8938) to arrange payment. We accept American Express, Visa, MasterCard, Discover and checks.